Home > Antiquariat Michael Solder > The Reign of Elizabeth 1558-1603. 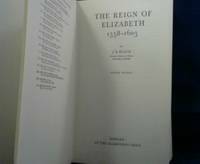 Title: The Reign of Elizabeth 1558-1603. Publisher: Oxford, Clarendon Press, (1976).